Viewing only articles tagged with "Kingdom Hearts III". It’s been over a decade since the release of Kingdom Hearts 2. What are the different factors that have made it take so long? One of the main factors was the decision to switch the game engine to develop the game. Our current engine is great in terms of developing a high end AAA title, but because there was a change in technology and work flows, it took some time for the team to adapt and adjust. How long did it to take to design and choose the new wall-riding and theme park mechanics? We first developed the wall-climbing action because we wanted to try something new for the Olympus world, which had been included in previous Kingdom Hearts games. By being able to climb walls, dive off cliffs and slide down ramps, we were able to radically change the gameplay for Olympus and the other worlds, as we were able to create worlds with far more height, scale and sense of discovery. As for the theme park rides, we wanted to create something that was distinct to Kingdom Hearts; something that is a quintessential Disney experience, arranged in a way that would be fun to use in battle. 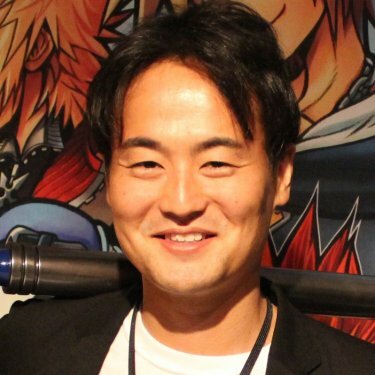 Game Director Tetsuya Nomura came up with the concept, while I did the game design for the various rides, and the art team handled the artwork. From there, we had a team of 3D artists, animators, engineers and special effects artists working to implement the concept into the game. We wanted to make sure the rides had universal appeal, so we had weekly meetings with over 30 developers to discuss our opinions on game design and graphics, adjusting each ride until we felt we had really nailed it. The new worlds (Frozen, Tangled, etc.) seem to be mostly newer Disney properties. Why did you pick those and are their still surprise worlds waiting to be revealed? There are a lot of good, logical reasons for picking new Disney properties, like appealing to a wider audience; but honestly, the main reason we picked new worlds such as Frozen and Tangled was because they excited us. In terms of gameplay, there’s a lot of unique and crazy things you can do with a snowman that keeps on talking after having his head removed from his body, or a princess with super long golden hair. We’re not planning on revealing any surprise Disney worlds, but these new properties gave us a chance to come up with a lot of new and fresh ideas, that there will certain be a lot of surprises with the gameplay. What was it like working on Kingdom Hearts 3? It was similar to a roller coaster experience, with a lot of ups, downs and wild turns. Although at times it was a difficult and stressful experience, it was always exciting because we had a huge development team with specialists in so many fields. We had technical animators working full time on hair, engineers who could calculate and code the realistic movement of waves, and special effect designers who created dust particles in the air that would react to the movement of characters. We even had an expert who made dandelion seeds look extra fluffy! What limitations or expectations were put on you by Disney when working the Attraction Flow System into the game? When creating something from a Disney property, we generally work to make sure it resembles the original as much as possible, but for the Attraction Flow Rides there actually weren’t a lot of limitations. In the end we came up with an original game mechanic for each ride that visually captured the essence of Disney, without making the rides look like imitations. What do you have to say to fans that have been waiting this long for a sequel? I’m truly sorry to have kept everyone waiting for so long! It took a while, but we really wanted to make sure the game met everyone’s expectations. I hope, more than I’ve hoped for anything else in my 20 years of making games, that you all enjoy it. You've had a hand in shaping Kingdom Hearts for almost a decade, how have you handled expanding the world of Tetsuya Nomura? I’ve come to expect the unexpected. Nomura is a creative force that takes us to unexpected places and it’s been an exhilarating experience to expand on his vision. He has a lot of unconventional ideas, like the LCD mini-games that took us by surprise, but when we actually build on those ideas it somehow fits within the Kingdom Hearts universe in a fun way. It has taken some getting used to but I’ve learned to trust his ideas and run as far as I possibly can with them. How would you describe Kingdom Hearts’ lore? The story of Kingdom Hearts is a classic tale of light and good overcoming darkness and evil. Players will discover the power of friendship and how friends must band together to overcome hardships. A lot has happened since the first Kingdom Hearts game, so for those who are new at playing Kingdom Hearts, we have a “Memory Archive” feature in Kingdom Hearts III that will explain the basic outline of the story through several short movies. How is Kingdom Hearts 3 going to stand out from the spin-off games released over the past decade? Sheer scale and accessibility. Kingdom Hearts III stands out from the spin-off games because there is so much variety in terms of gameplay. The game doesn’t force you to play in a certain style, and players can beat enemies using any weapon, action or system that they personally like. I don’t know of any other game where you can summon theme park rides, have your weapon dynamically transform, ride several types of robots and a pirate ship, explore underwater caves, fight alongside toys, become a monster, create your own spaceship, collect recipes and cook French food, and play over 20 old school 2D LCD games while exploring vast 3D environments. This game is a celebration of gaming, old and new. What's your favorite part of the game? I pretty much like everything so that’s a difficult question to answer but after finishing the game multiple times, I’ve drifted towards the Gummi Ship. In the Gummi Ship for Kingdom Hearts 3, players can explore a vast universe on a customized spaceship with complete freedom. There’s a whole bunch of hidden treasure to be found and secret enemies to be fought, but I personally like the edit feature of Gummi Ship the most. Compared to previous Kingdom Hearts games there’s a lot more materials and parts to choose from; you can attach unique skins such as denim, cardboard, fire and cheese, and attach cute figures such as kittens and puppies. Don’t ask me why but I’m currently trying to make a flying ramen stand that shoots fireballs. KH3 Final Battle Trailer Released!